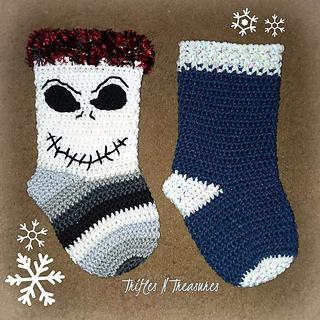 Come and get your Super Stockings! 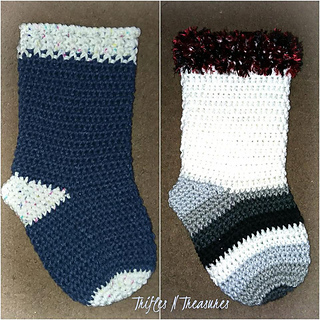 Super fast to make, so they are perfect for that last minute gift, or gift wrapping! Finished models measure 14” long x 7” wide, so they hold a lot of holiday goodness inside! Yes~the skeleton eyes are included, too! They work up with just ONE skein of yarn, in about TWO hours! Super fast, super simple, super fun!